Time for a friendly checkup at this cheerful vet clinic! Little animal lovers can lend a caring hand at the pet vet. 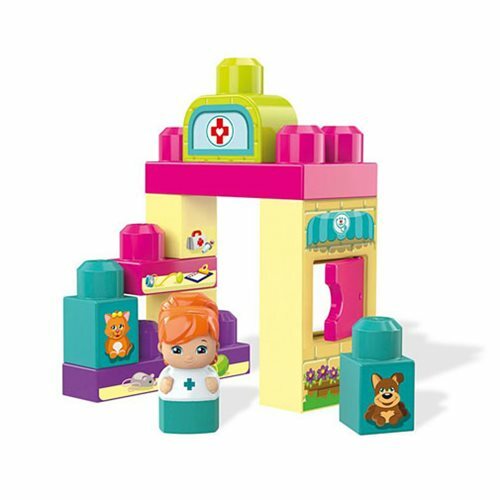 Use the colorful blocks to bring a vet's office to life, complete with a cute cat and a loveable dog. Then help the friendly veterinarian take care of the adorable pets, or open the clinic's window to see what's inside. Made for little hands and big imaginations, you can build the Mega Bloks Pet Vet any way you like, developing creativity and curiosity as you play! Ages 1 to 5.